Lehigh Valley Grand Prix is the tremendously successful brain child of Lehigh Valley business owner Mike McCreary – who has built one of the premier indoor karting venues in the Mid-Atlantic region, featuring indoor go kart racing, bowling, the Octane Bar, parties, leagues, corporate team building events and much more. As an award-winning entrepreneur, Mike McCreary is no stranger to success. Mike established the Lehigh Valley Grand Prix just two months post-graduation from Lehigh University, utilizing incubator funds he won when his marketing project received top honors in not just one but two Entrepreneur competitions – the Student Entrepreneur of the Year by the Next Step Awards, and Grand Prize winner of the Joan F. and John H. Thalheimer Student Entrepreneur Competition. Mike has kept the pedal to the metal ever since and his success has garnered significant attention from the community, including such honors as Top 20 Under 40 Business Leaders by the Eastern Pennsylvania Business Journal, and Top 20 Most Intriguing People in the Lehigh Valley by Valley Social Magazine. He has also served as the President of the Allentown Chamber of Commerce. The Lehigh Valley Grand Prix 48,000 square foot facility has become one of the largest—and most popular—indoor racing tracks in the northeastern United States. LVGP has a huge following and several drivers who regularly compete at the World Karting Association Championships. 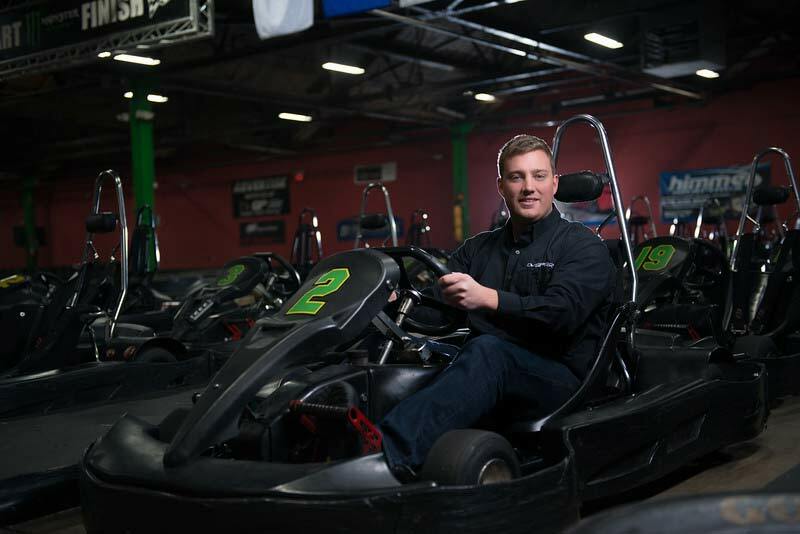 Mike also serves as President of Octane-Adrenaline Bar, a motorsports bar located at Lehigh Valley Grand Prix, designed to enhance the experience of customers through food and beverage.